For decades we have helped clients address financial difficulties in debt crises around the world. Our lawyers have represented creditors, corporate debtors and investors in some of the largest and most complex international restructurings and insolvencies. We also facilitate turnarounds and settlements, help raise capital to prevent costly defaults, and assist in disposing of or acquiring assets to protect and preserve value. Although debtor/creditor disputes are inevitable, our track record in resolving them is among the world’s best. Our expertise in these matters is compiled in our Global Restructuring & Insolvency Guide, a tool to help clients understand restructuring and insolvency regimes around the world. The latest edition has been expanded to encompass recent legal developments and policy changes that could affect our clients’ businesses. 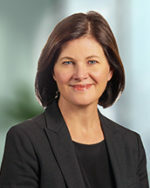 Maria O’Brien is the head of the Restructuring & Insolvency practice at Baker McKenzie’s Australian offices. She leads the Firm’s Asia Pacific Restructuring & Insolvency Working Group and is a member of the Global Restructuring & Insolvency Steering Committee. She is a Fellow of INSOL International (the International Association of Restructuring, Insolvency & Bankruptcy Professionals), and was on the Technical Committee for the INSOL Quadrennial held in Sydney in March 2017.